The mystery of the NVA’s intentions at the Battle of Khe Sanh has been debated since the siege began. Westmoreland believed that the communists were looking for a great victory in a specific area such as they had achieved against the French at Dien Bien Phu in 1954; otherwise they would not have committed as many troops to the area as they did. 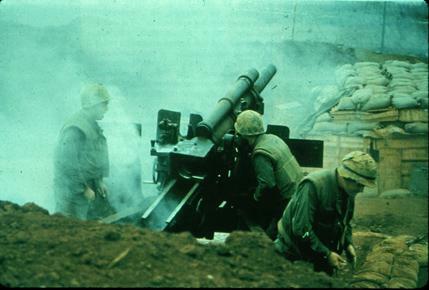 Others, however, believed that Khe Sanh was merely a diversion to keep US forces occupied while the communists launched the Tet Offensive, which commenced a week after the Battle of Khe Sanh began, and that if they truly wanted to take the base they would have cut off its water supply. Another theory combines the two opinions in that the NVA wanted to capture Khe Sanh if possible, but they also wanted a diversion for the Tet Offensive. In the end, the diversion was unsuccessful in one sense because the communists were militarily defeated during the Tet Offensive. On the other hand, the Tet Offensive proved to be a long-term political defeat for the US and the Khe Sanh base was soon abandoned anyway. Regardless, the Battle of Khe Sanh will remain a hot topic as long as the history of the Vietnam War is to be studied.